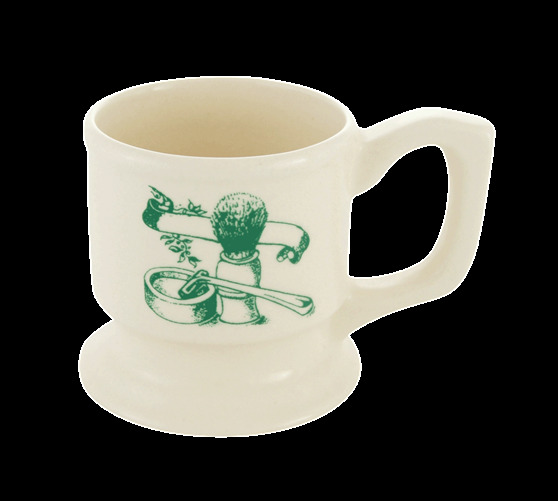 This compact shave mug has man sized handle to accommodate large fingers and an anti tip base. Good depth for working up a great lather. Off white with a leaf green decal. Col. Conk 2.25 oz. shave soap included (scents will vary). Boxed.